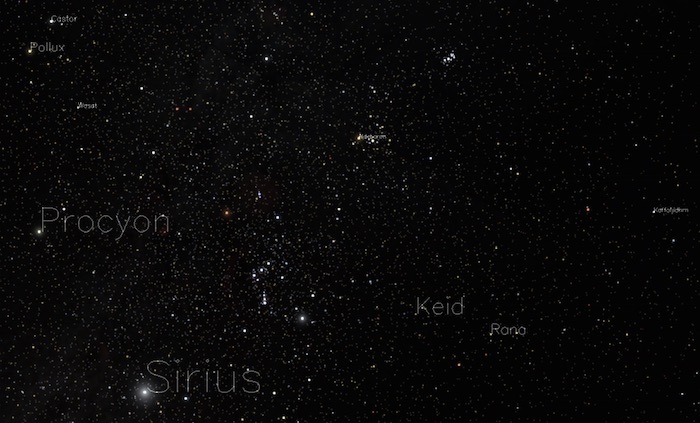 A view of some stars nearby through the PartiView software which can be downloaded from the American Museum of Natural History’s Hayden Planetarium Digital Universe website. The Digital Universe, developed by the American Museum of Natural History’s Hayden Planetarium, incorporates data from dozens of organizations worldwide to create the most complete and accurate 3-D atlas of the Universe from the local solar neighborhood out to the edge of the observable Universe. I’m looking forward to going to the Hayden Planetarium for the first time tomorrow! The Director is Neil DeGrasse Tyson, host of the current version of Cosmos. Since 1998, the American Museum of Natural History and the Hayden Planetarium have engaged in the three-dimensional mapping of the Universe. This cosmic cartography brings a new perspective to our place in the Universe and redefines our sense of home. Happily a version of the PartiView software and data sets used in the planetarium is available for download to fly around the known universe in your own computer. I will use this as a scouting tool for my next destinations in Elite!